Hermosa Beach Sidewalk Sale Starts Now! 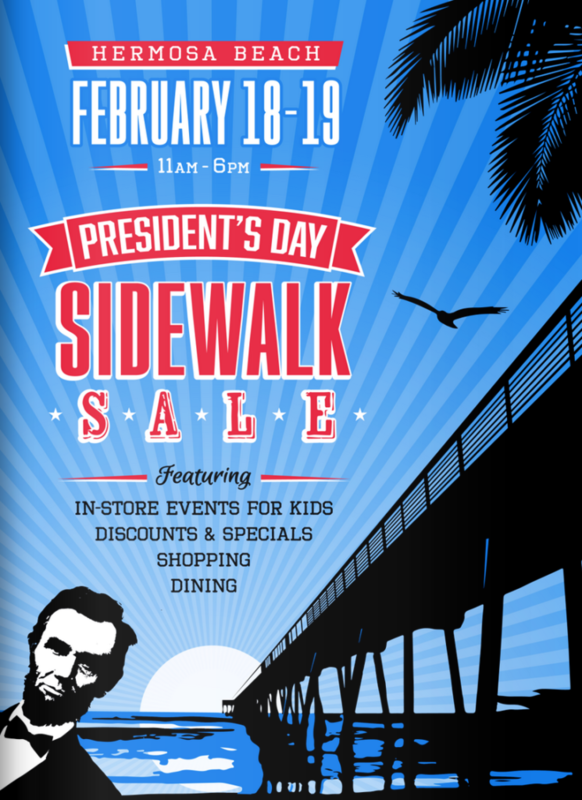 If you’re in town this weekend, come on down to beautiful Hermosa Beach… It’s the First Annual President’s Day Sidewalk Sale! TAKE 70% OFF ALL SALE ITEMS!!! PLUS, NOW THROUGH END OF DAY MONDAY…IF YOU BUY ANY SALE ITEM YOU CAN TAKE 20% OFF ANY REGULAR PRICED ITEM. At Gum Tree you’ll find beautiful new sunhats, cover ups, jewelry, pillows, ceramics and more. At Gum Tree Kids, new toys, books, and spring clothes have arrived and they are too cute! Rumor has it there will be a fun scavenger hunt happening around town on Saturday and Sunday. Find the US President in each participating shop, and enter to win some awesome prizes. P.S….Will has put a Cuban Sandwich on the special board this week and it’s crazy good. You’ve got to try it. 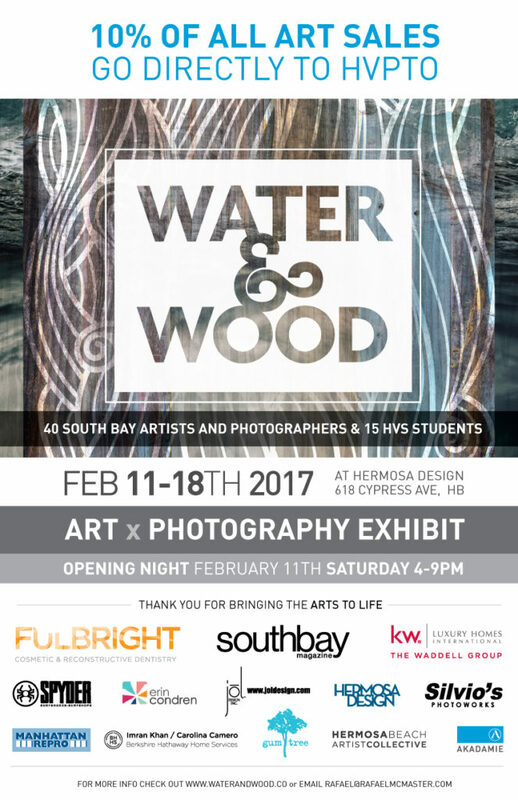 It’s the closing night of Water and Wood at Hermosa Design. This is your opportunity to enjoy work from more than 50 talented local artists in a beautiful space right here in Hermosa. Should you purchase any of the art, 10% of the sale price will go directly to the HVPTO! We are proud to help sponsor this event, nibbles at the event Saturday night will be provided by Gum Tree Cafe.